With the growing recognition of Apple iPad somewhat fading the popularity of smart iPhone, the marketers are not ready to miss even the slightest of opportunity to grab the ever-growing segment for robust and feature-rich iPad tablet. Say what, iPad application development is the best way to reach out and promote your brand across the expanding market for this smart Apple tablet. Don't just limit yourself to web and Smartphones; walk with the trend. 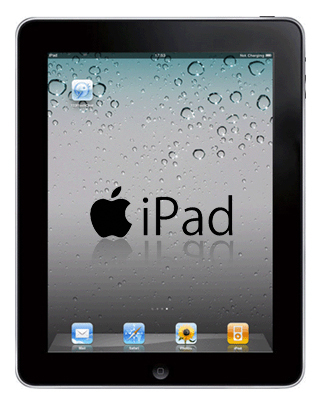 Create excellent experience for 'mobile' users with smart, intuitive and robust applications for iPad tablet. Explore the tablet market to build a powerful 'mobile' presence. eTraffic Applications is a leading provider of mobile applications and integrated web solution services, catering to the distinct needs of our valued clients. As the demand for developing iPad application increases, we gear up to deliver the BEST services with years of experience and latest technology know-how. We have a team of highly talented iPad developers who are remarkably client-focused, ensuring that your unique idea for iPad application is well executed and stands out in the competition on the App Store. Our professional iPad application developers have in-depth knowledge and technical expertise in the process of developing iPad applications for business, entertainment, travel, weather, navigation, ecommerce, mobile commerce, healthcare, education, and emails. The apps developed by us are rich in smart features, excellent graphics and user friendly interface, providing the ultimate experience to tablet users. iPad app development is a smart way to connect to your target audience on the move, showcasing your brand in the most impressive manner. At eTraffic Applications, we will first 'listen' to your iPad application needs and then, we will work together closely to develop a unique and compelling idea for you. And if you already have an idea, we will try our best to execute it as per your expectations. Our iPad apps programmers have expert knowledge in Cocoa Touch Framework and Xcode, transforming the proficiency into building highly interactive, user friendly, and easy to load applications for iPad. Make the Best Choice with eTraffic Applications!! Take the 'iPad' way of smart marketing with professional iPad application development services from eTraffic Applications. For further inquiries, speak to our expert at 1300-887-151 or you can also write to us at info@eTrafficapplications.com.au.